The Italian insurer’s 5.7 pct average debt cost is pulled up by a slug of pricier hybrid debt. Buying it back would sort this and reduce the effect of spiking domestic bond yields on its solvency. The catch is that Generali will probably have to pay up to do so. 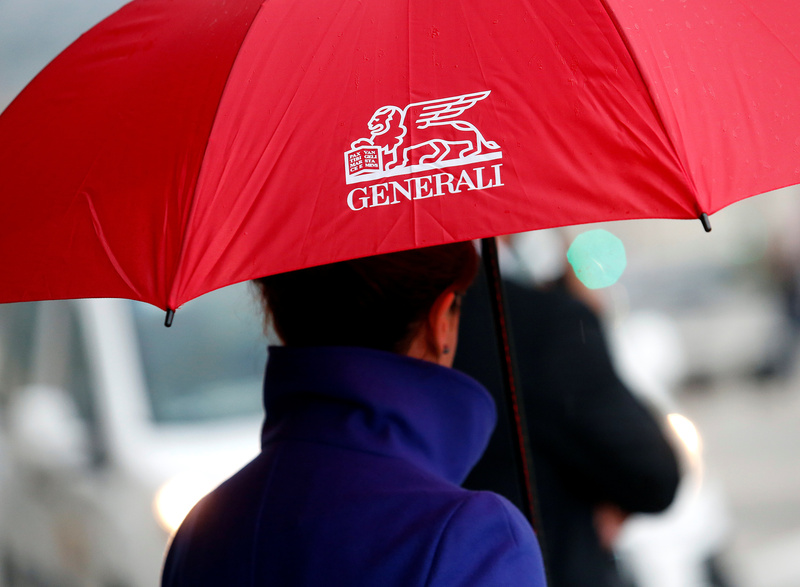 Assicurazioni Generali reported on Aug. 1 first-half net profit of 1.33 billion euros, up 8.8 percent from a year earlier, boosted by disposals. Italy’s biggest insurer said its operating profit rose 2.7 percent to 2.53 billion euros in the January to June period. Generali said its regulatory solvency ratio had fallen to 201 percent from 207 percent at the end of the year, chiefly due to a rise in Italian government bond yields after Italian elections produced an EU-sceptic government. The group’s economic solvency ratio, which is based on internal models, fell to 221 percent from 230 percent at year-end. The group said in its 2017 annual report that an increase of 100 basis points in the spread between 10-year Italian government bonds and their German equivalent could knock 12 percentage points off its solvency ratio. The spread stood at around 160 bps at the end of 2017 against 230 bps currently. It hit 300 bps at the end of May. Generali’s weighted average cost of its 42 billion euros of debt stood at 5.7 percent in 2017, unchanged from 2016. The insurer paid 673 million euros in interest expenses for the 11.4 billion euro portion of debt linked to financing activities. Of these, 2 billion euros are made up of two subordinated liabilities paying a coupon of 10.13 percent and 7.75 percent respectively. Shares in Generali were down 1.2 percent at 15 euros per share at 0750 GMT.